Topic: Milab VM-44 Link > Naiant IPA(s)? Anyone running this configuration? Milab VM-44 Link (cardioid or omnis) > Naiant IPA(s) > recorder? I don't see it on the Naiant website as explicitly supported, but wondering if anyone has leveraged one of the other supported configurations that also may happen to work with the Milabs. I've pinged Jon via email, but thought I'd check in here, as well, to see if anyone has tried this option. Re: Milab VM-44 Link > Naiant IPA(s)? Early on in the IPA info release I asked about this...IIRC...The IPA will support the Milab MV-44 Links. If you desire a balanced connection to the capsules it will require TWO (2) IPA units. MBHO's are the same...this was explained in the orginal IPA announcement thread that appears to be deleted. Thanks, Hypno. From my emails with Jon, sounds like the VM-44 Links are supported. Jon and I are in email discussions about what I want to do and what I'll need, exactly, to accomplish my goals (if it's even possible, since I'm pursuing a somewhat unusual option). Would be very cool to see a VM-44 Link > IPA rig in action. Naiant is constructing a PFA to power my VM-44 Links using P48 as we speak. oh that is good new indeed! please report back in the team Milab thread. I received a pair of PFA's from Jon to run my VM-44 Links a few weeks ago. I haven't run these in the field yet but I did test them by recording my home stereo and everything appeared to work as intended! I also had darktrain techflex a pair of my VM-44 Link cables, remove the binder connectors that Milab uses with the Links and replace them with two, 5 pin mini-xlr's. The two PFA's from Jon also use 5 pin mini-xlr connectors. Everything appears to have worked as intended with my home stereo recording. Once I actually have the opportunity to run these in the field I will post a link. Darktrain also constructed a pair of 3' adapter cables that will allow me to use my VM-44 Link cables with the original Milab bodies should I desire to do so. Many thanks to Jon & Darktrain!! Sounds great! Having Milabs myself. Would love to see some pictures of the complete setup. Sounds like a nice alternative... please let us know your thoughts after you test in the field. Were the original VM-44 link cables modified and used in this application...or were new cables used? Considering pulling the trigger on a pair of Classics, but would like to have a set off active PFA cables built for lower profile application. 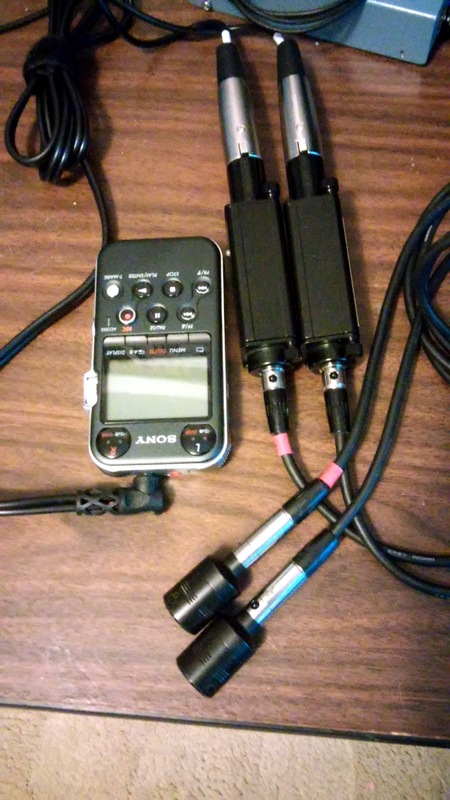 ...I also had darktrain techflex a pair of my VM-44 Link cables, remove the binder connectors that Milab uses with the Links and replace them with two, 5 pin mini-xlr's. The two PFA's from Jon also use 5 pin mini-xlr connectors. Everything appears to have worked as intended with my home stereo recording. Once I actually have the opportunity to run these in the field I will post a link. Darktrain also constructed a pair of 3' adapter cables that will allow me to use my VM-44 Link cables with the original Milab bodies should I desire to do so. Waltmon -- The VM44 Classic would get you the caps + the bodies, but you'd still need the Milab "active cables" (I refer to them as the Links cables) to run the caps without the bodies. In other words, there has to be something to connect the VM-44 caps to the PFAs. I don't know if the Links cables are available outside of a set of VM-44 Links (at least I don't see them on the Milab website), and I'm not familiar with any 3rd party knockoffs (like some of the Schoeps or AKG options that are available). ...except the mic body side of the cable (left in the above picture) is integral to the mic bodies and cannot be removed from the mic body. * The cap side of the Links, like the KC (right in the above pic), provides the connection point for the caps. * The Schoeps system is completely modular. You can run the mic bodies + caps with or without the "active" cables in between. In the Milab world, since the mic body side of the Links are integrated with the mic body, you must always run the Links cables between body and caps, and cannot put the caps directly onto the mic bodies without the Links. I have purchased link cables from Milab before when I wanted a 5 meter set. Those could then be modified for PFA's. I don't remember the exact cost but recall them being in the $175 range for each cable. Maybe I can search and find my old email receipt. I know they now accept paypal for payment on parts. Mattias is the person to talk to there.